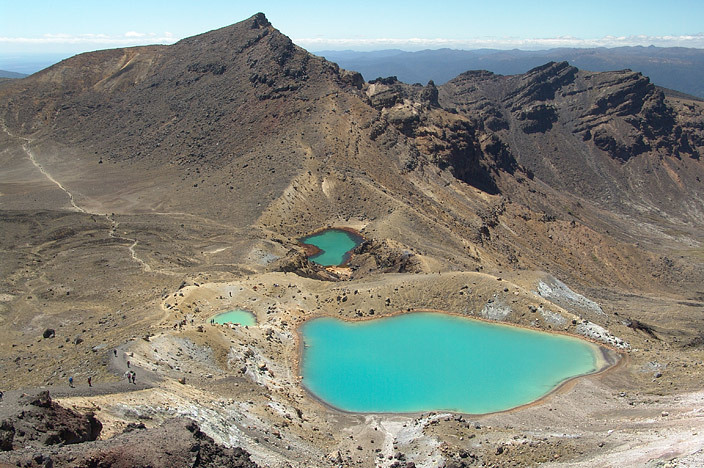 During our week long visit to the north island of New Zealand, we wanted to organise a couple of trips that would do justice to the reputation that this place has for natural beauty. 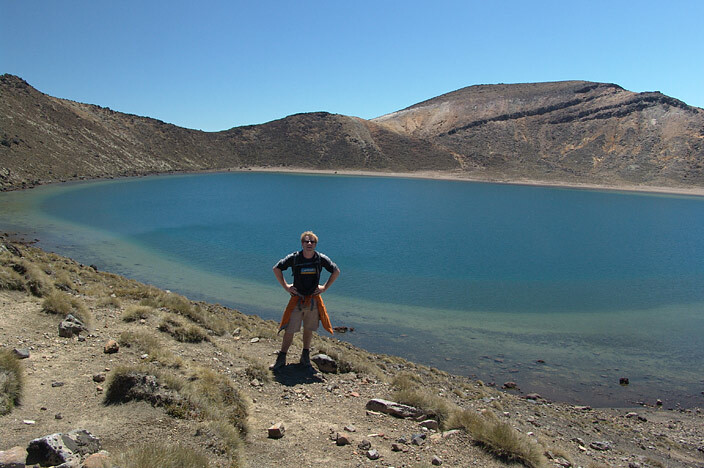 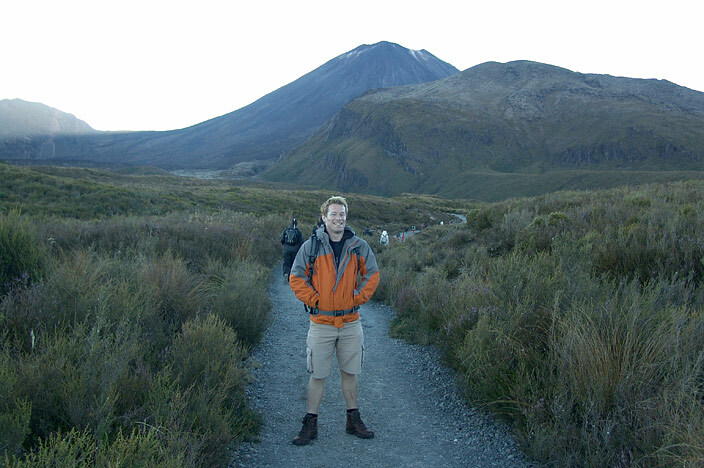 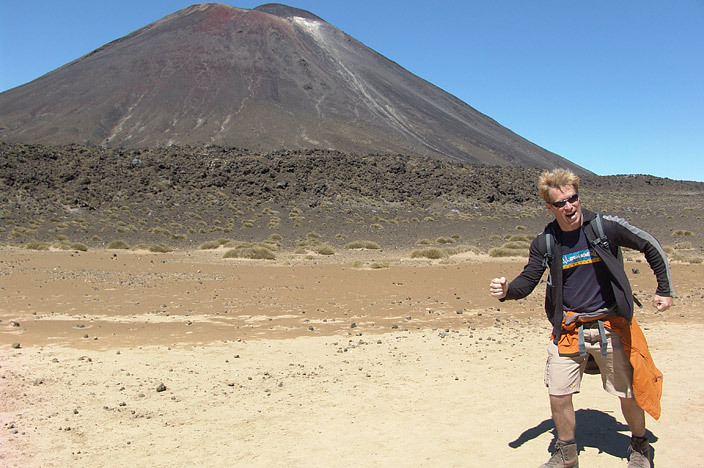 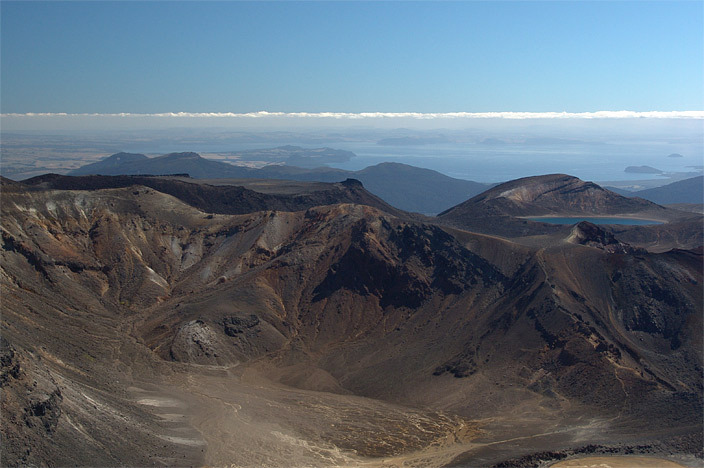 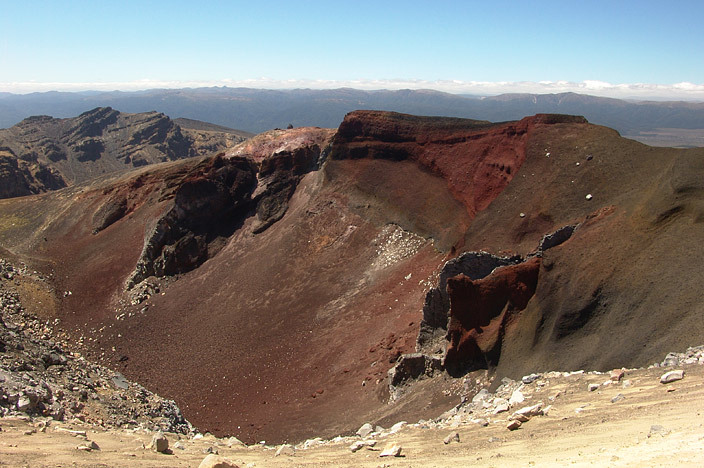 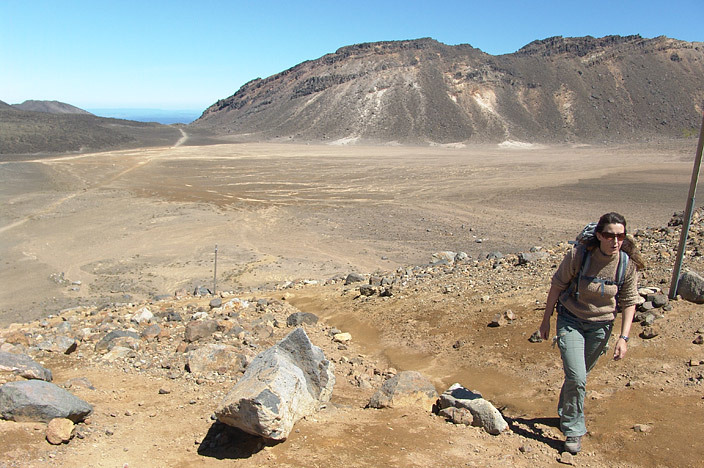 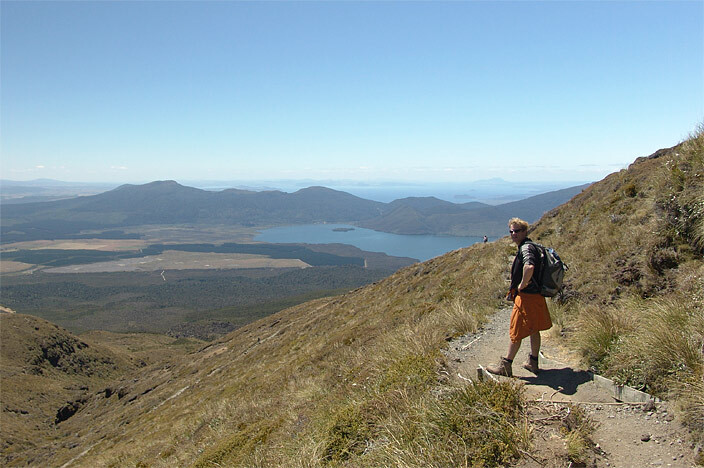 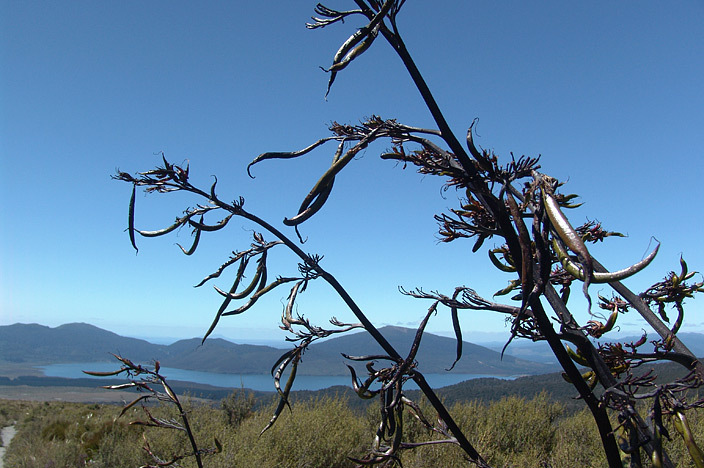 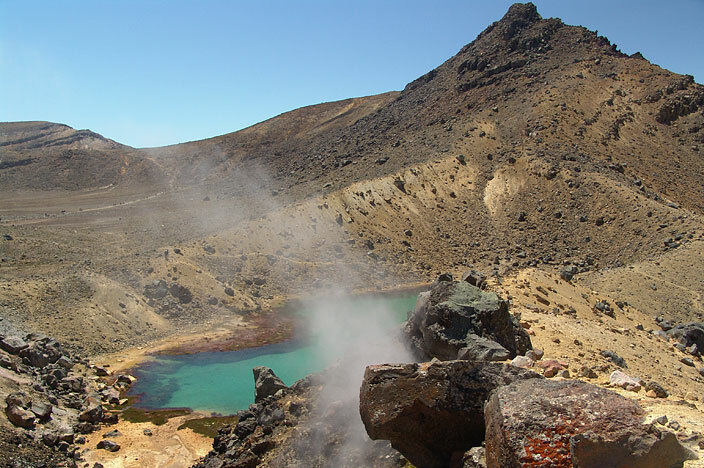 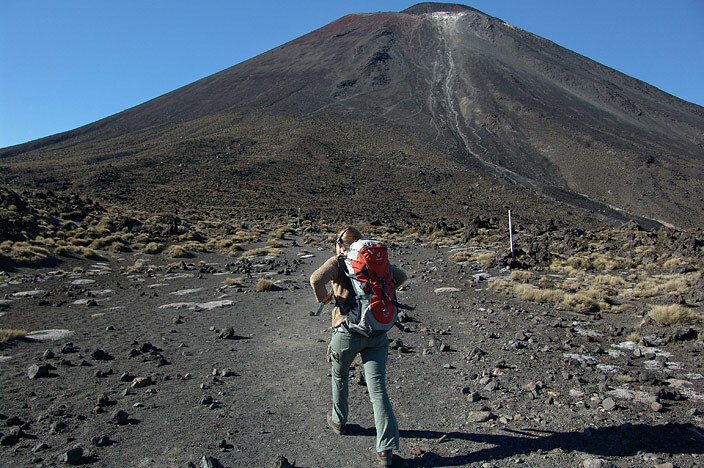 A quick Google for ideas puts the Tongariro Crossing high up on the list. 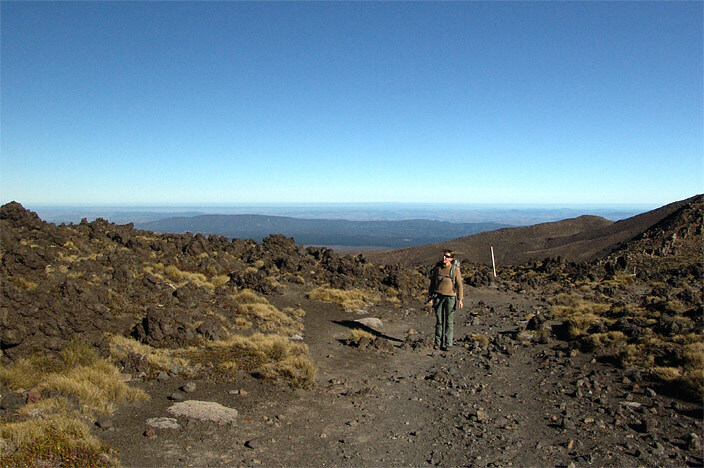 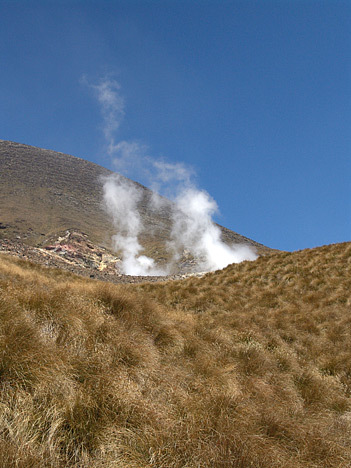 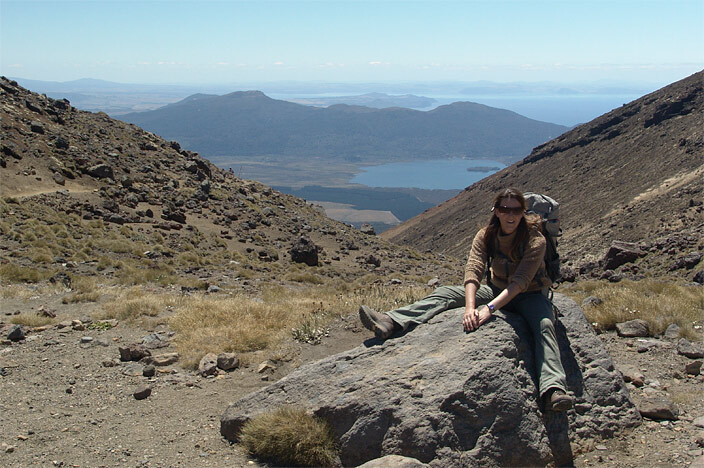 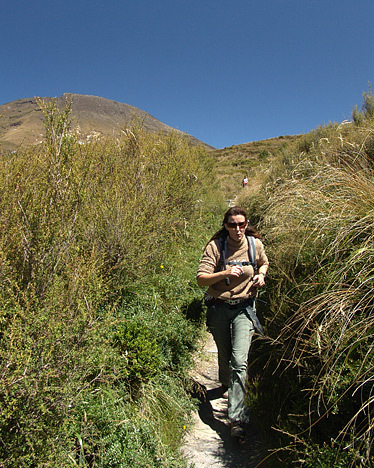 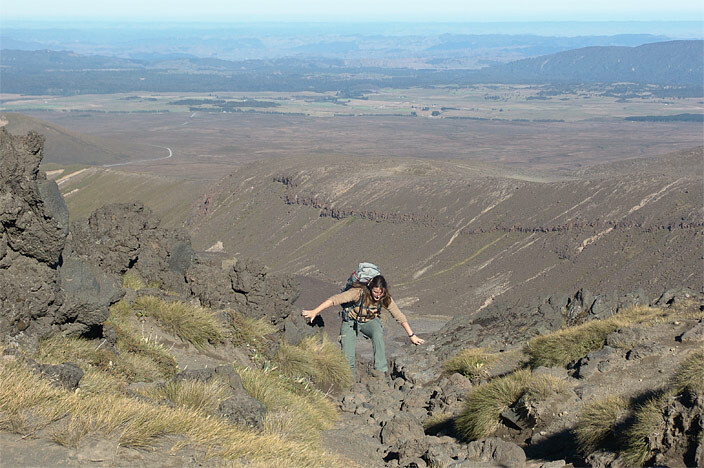 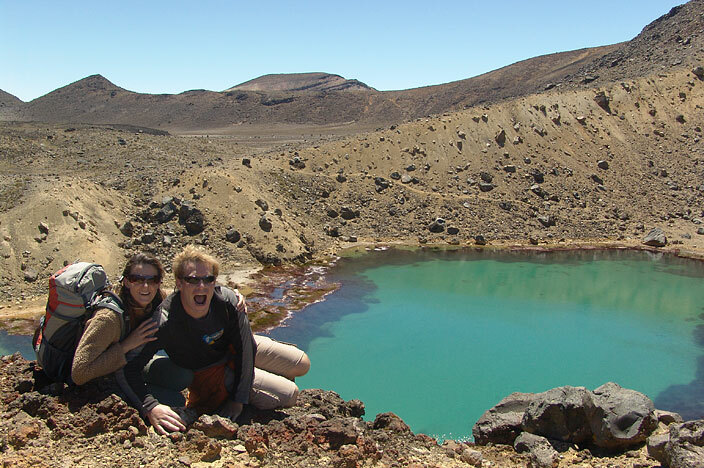 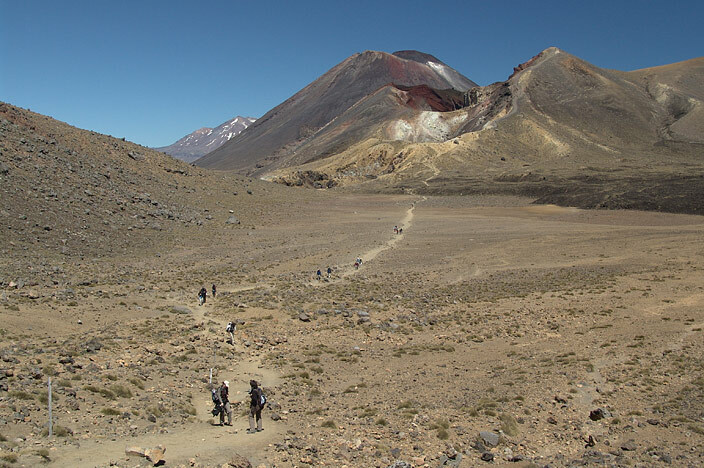 The crossing basically consists of a hike in and amongst the volcanic mountain passes between Tongariro and Ngauruhoe (pronounced 'Narahowee'). 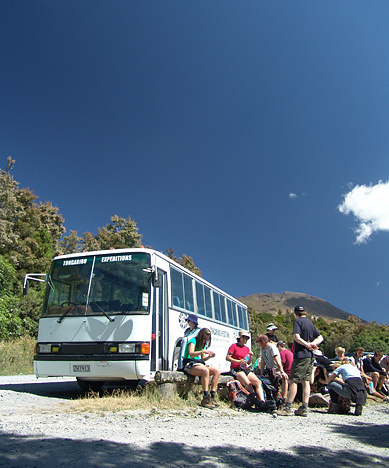 The trek is 18km long and runs point to point meaning you will probably need to use one of the many shuttle companies offering dropoff and pickup. 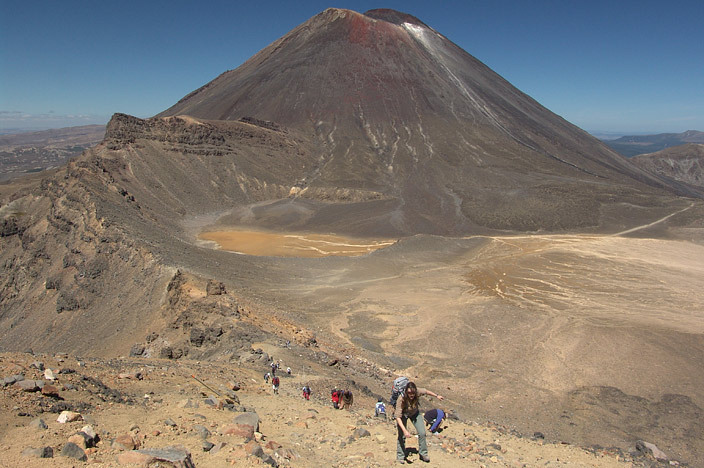 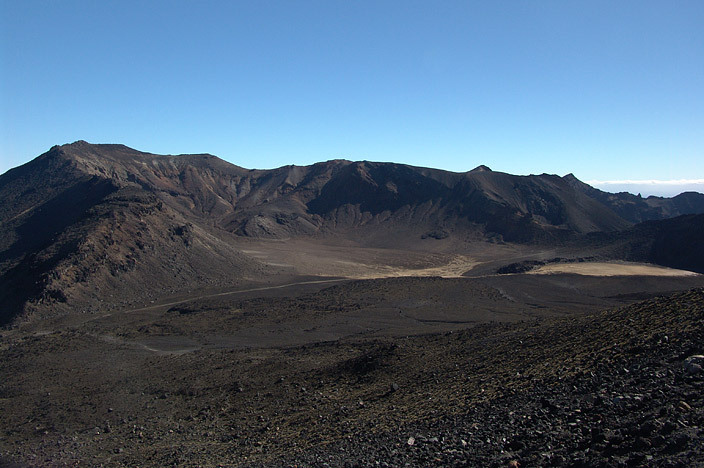 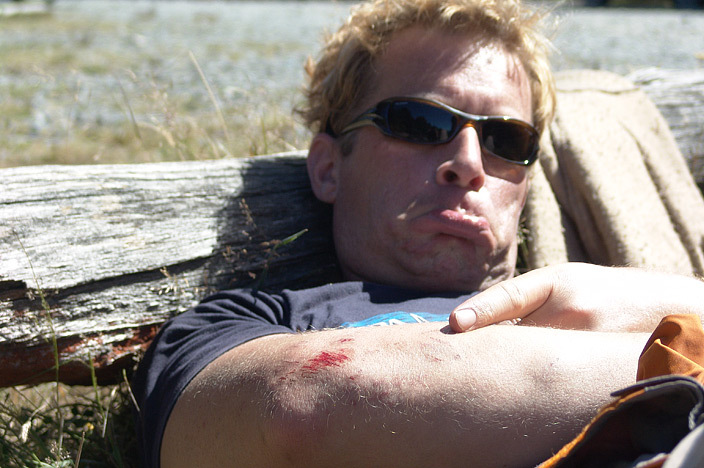 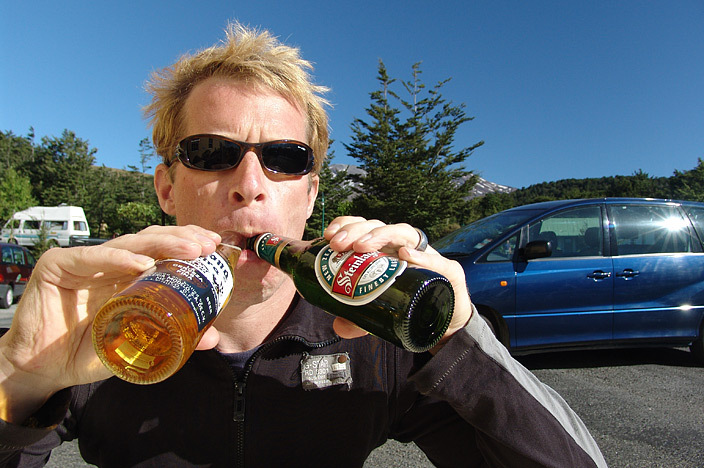 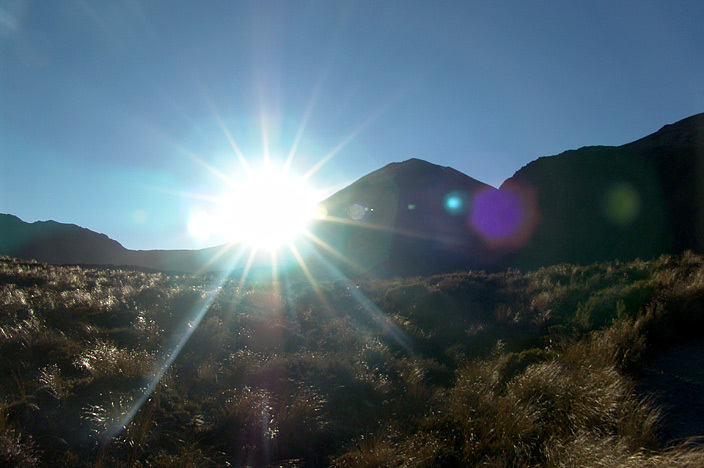 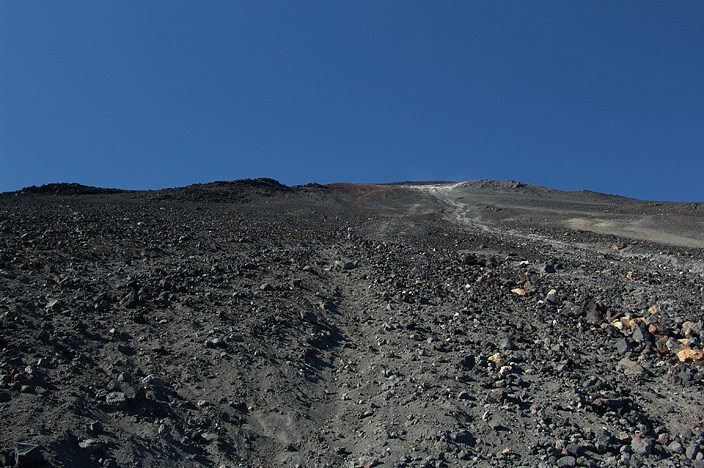 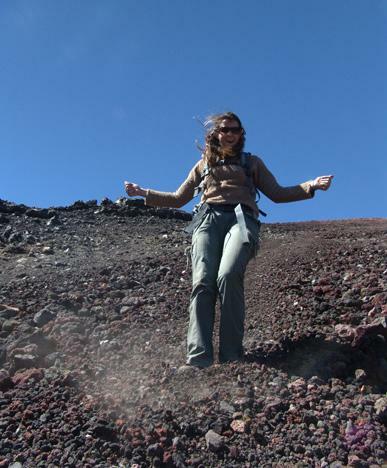 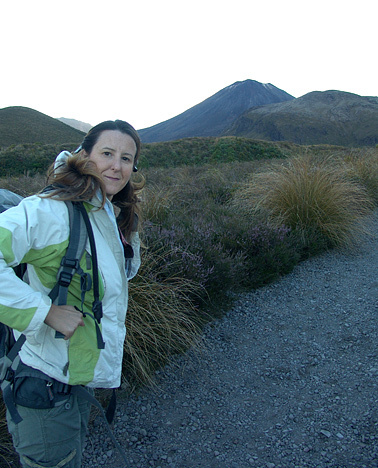 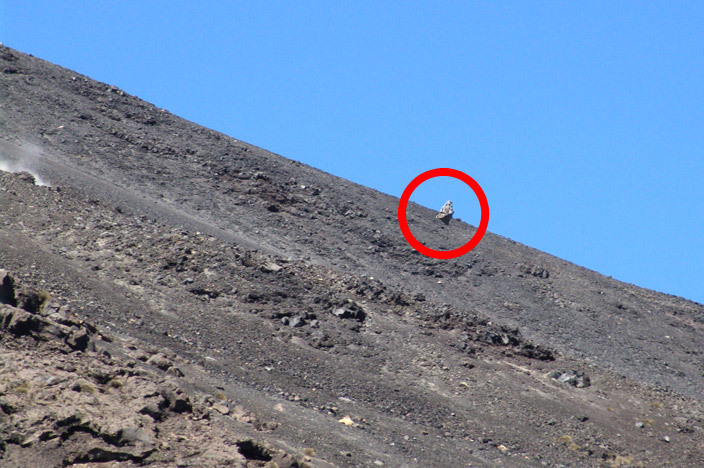 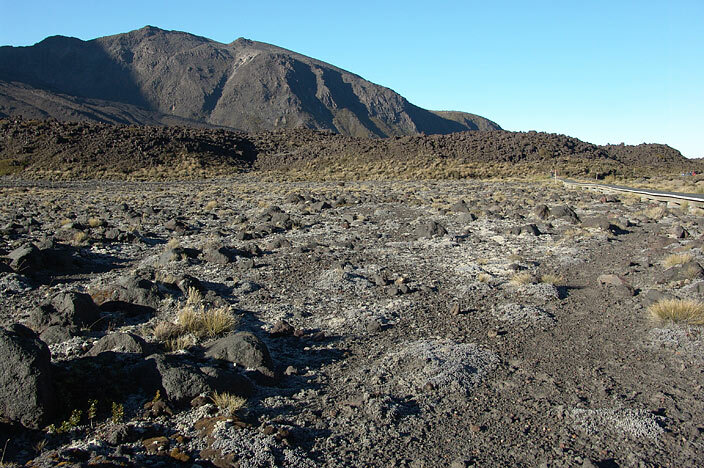 For those eager amongst you, there is also the option to climb Ngauruhoe (aka. 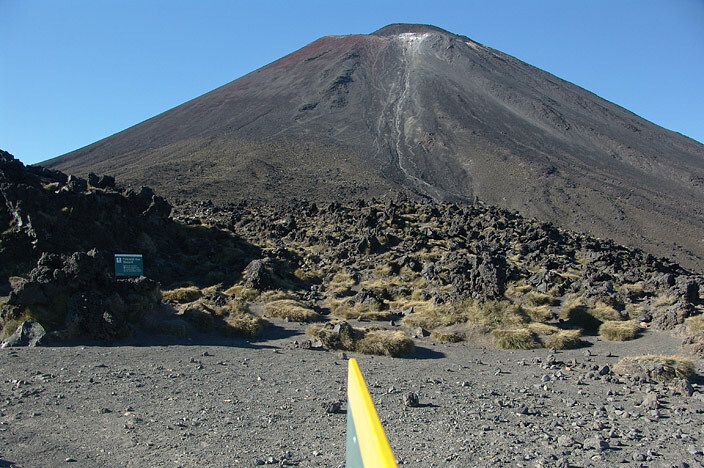 Mount Doom from The Lord of the Rings) ... if that sealed the deal, I don't know what will. 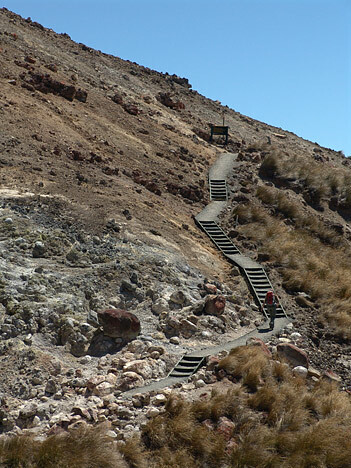 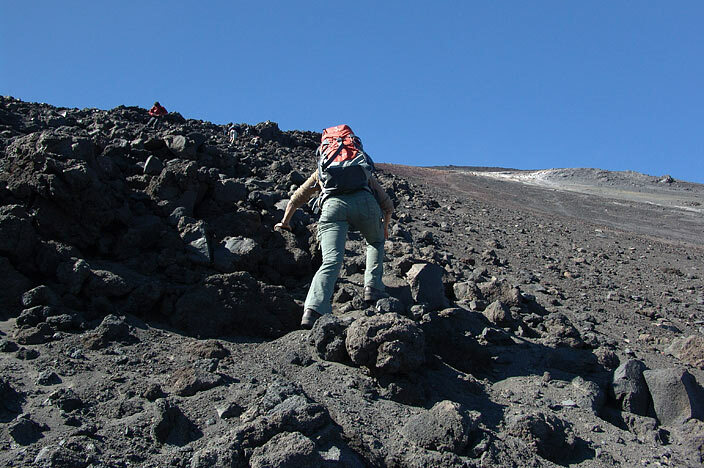 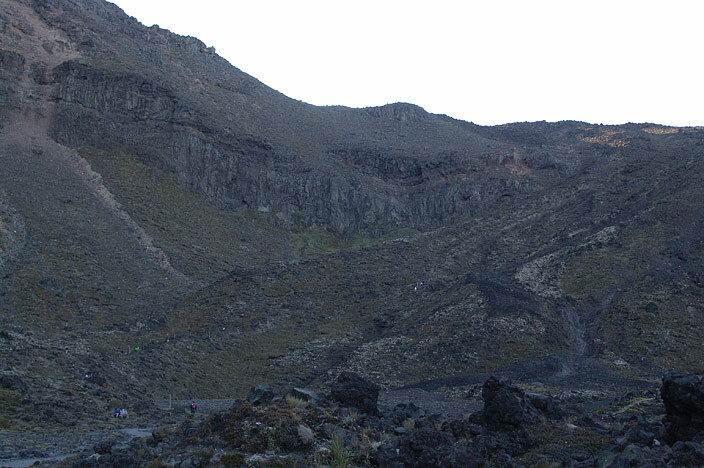 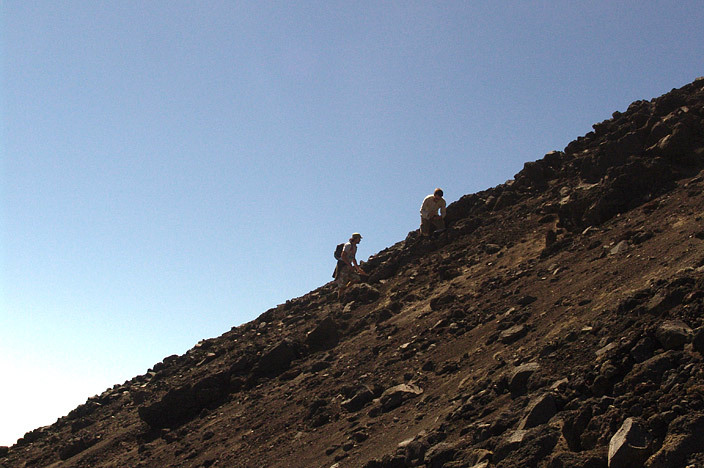 The steepness of the slope and the volcanic scree makes it a hell of a challenge to get to the top whilst keeping within your allotted bus schedule time. 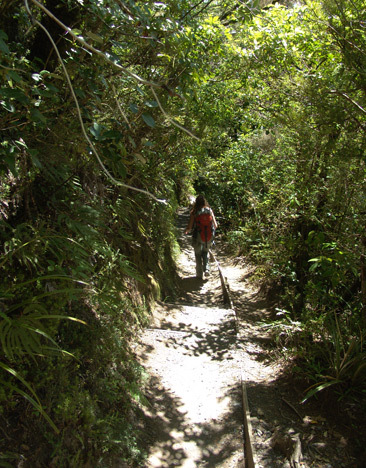 We were lucky to have idyllic sunny conditions. 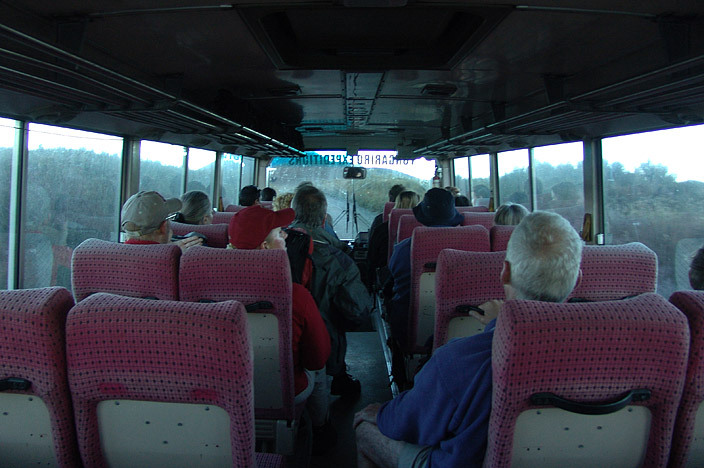 It would be a far lesser experience if you attempted it on a cloudy day. 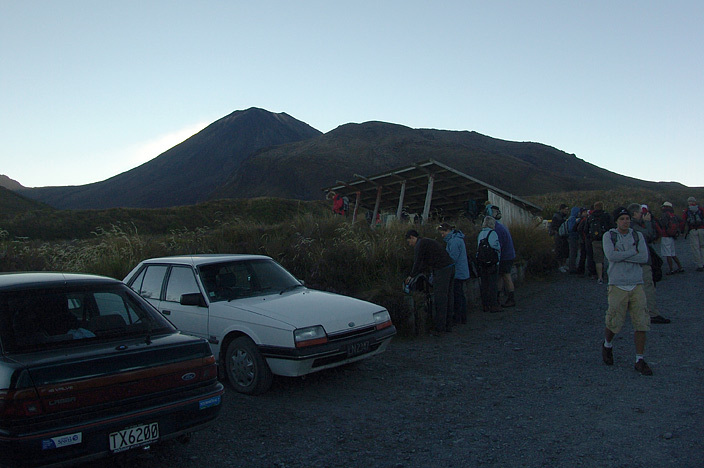 We managed to get two thirds of the way up Ngauruhoe, but had to turn down again as we ran out of time. 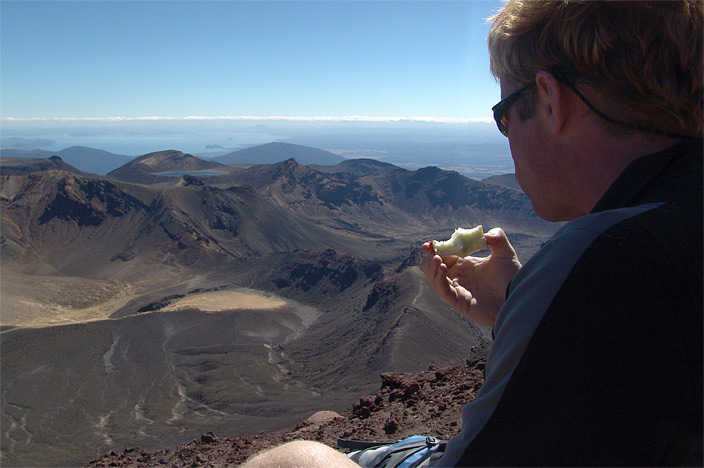 The views were stunning all the way along. 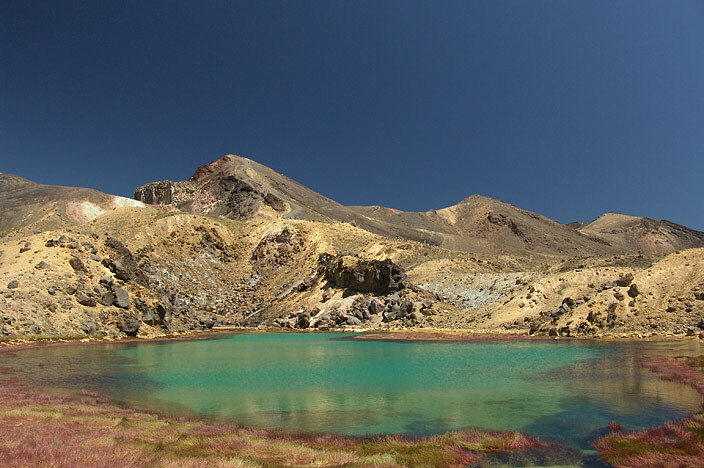 A gem of a trip for photographers. 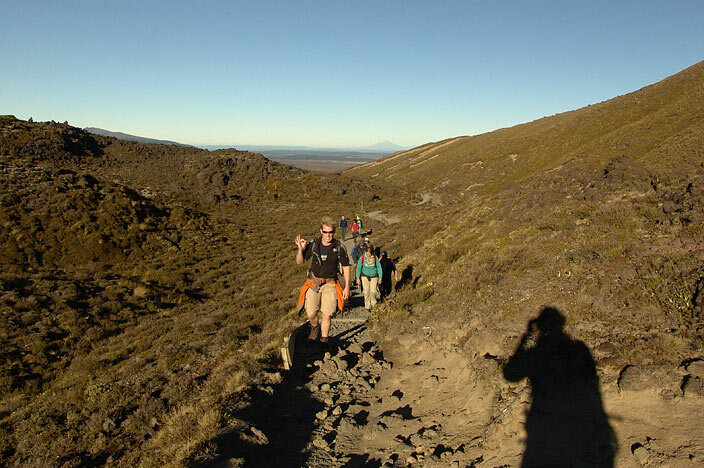 Fantastic day - thoroughly recommend it to all hikers who visit the area!